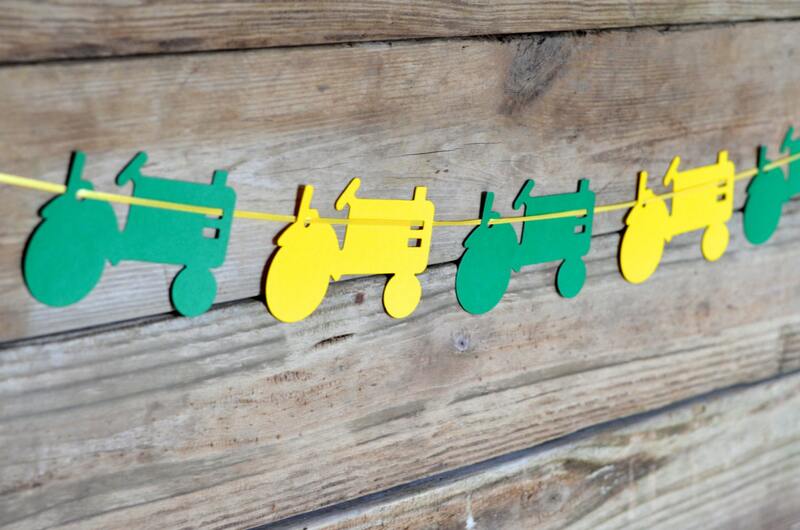 DIY Tractor Banner Kit - choose from Red, Green or Yellow, or all three! "Take a ride on the big green tractor, ... Down through the woods and out to the pasture" with this easy to assemble tractor garland kit! Each kit features 16 hand-punched tractors and 15 feet of yellow satin ribbon. 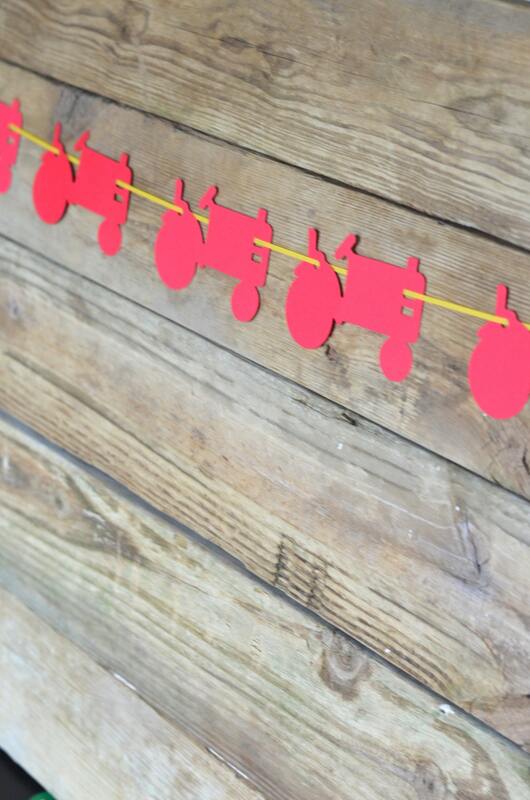 Simply thread the ribbon through the tractors and you have a high-impact, low effort decoration that will bring delight to your little farmer! Each tractor is 5" x 2.75" and is made from high quality card stock. 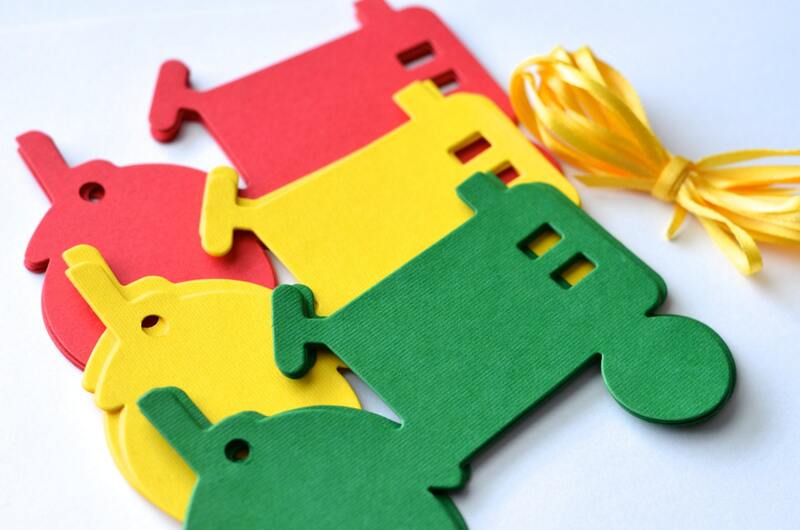 Choose from all Red, Green or Yellow tractors, or one of our Color Combo kits - Green and Yellow, Red and Yellow, Red and Green or Red, Yellow and Green. Missing the hole on the back of the tractor. I need to go buy a hole punch in order to pull the string through. Will be cute once complete and look forward to the final result. The shop refunded my money as the product was not as it should be. I was not expecting that that so kudos for great customer service. Just as described, quick, and beautifully packaged! Thank you for the banner! Super cute! This will be perfect for my sons tractor theme birthday party next month! Very prompt too! I ordered last Thursday and it arrived on Tuesday!